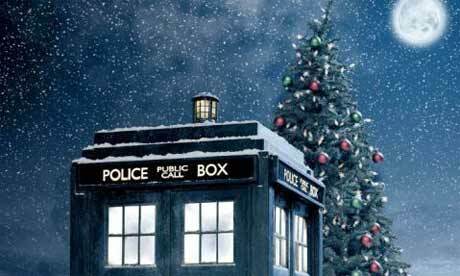 The ‘Doctor Who’ Christmas Special Adds Two More New Actors!!! Good news everyone. There is a ‘Doctor Who’ Christmas Special that’s filming this week in Wales. Actors Richard E. Grant and Tom Ward have been cast in the holiday special. Grant was in Coppola’s ‘Dracula’ in 1992 and actually played he good Doctor in BBC’s 2003 online series ‘Scream of the Shalka’. Ward plays a doctor on the BBC series ‘Silent Witness’. Steven Mofatfat wrote the special with Saul Metzstein directing. ‘Doctor Who will return later this month on the BBC and air on BBC America in the fall. This is going to be epic. I can’t wait. Get Excited! The ‘Doctor Who’ Christmas Special Has A New Trailer to Tease Us!! This entry was posted on Monday, August 6th, 2012 at 11:10 am	and is filed under News, Television. You can follow any responses to this entry through the RSS 2.0 feed. You can skip to the end and leave a response. Pinging is currently not allowed. « Bryan’s Must Own Bluray/DVD’s For The 5th Week Of July 2012!! !